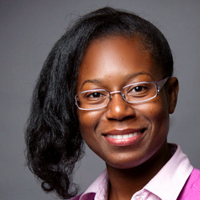 Deena Kemp completed her doctoral studies in the Department of Communication at Cornell University. Her research draws on persuasion, emotion, and behavioral economics theories to examine the impact of hard-hitting messages on decision making. She addresses the question of whether disturbing graphic content facilitates persuasive outcomes in different contexts including health and charity aid communication. During her studies, Kemp served as the lead research assistant on an NIH/FDA sponsored project examining the impact of cigarette graphic warning labels among low-income populations. She also provided writing support for multilingual graduate students as a writing consultant with Cornell’s English Language Support Office. She was honored to receive the Anson E. Rowe Advanced Graduate Student Award from the faculty of the communication department in the Spring of 2018. Prior to her studies at Cornell, Kemp developed and implemented communication strategies for community and academic health organizations. Her professional achievements have been recognized by the Council for the Advancement and Support of Education. She received a CASE 2013 Award of Excellence for her work in fundraising and stewardship communications. Kemp completed both her master’s and bachelor’s degrees in mass communication and public relations at the University of South Florida where she was a University Graduate Fellow, Provost Scholar, and Latin American and Caribbean Scholar. She also completed training in Health Management and Leadership through the USF College of Public Health.